One of the constant themes reflected in our community is love. Jesus demonstrably commanded his disciples to reflect love in all that they did. In fact, they were told they would be known (which applies to us today) as followers of Jesus by a measure of love. The greatest commandment is: love the Lord your God, and love your neighbour as yourself. A useful acronym to remember is BELLS. 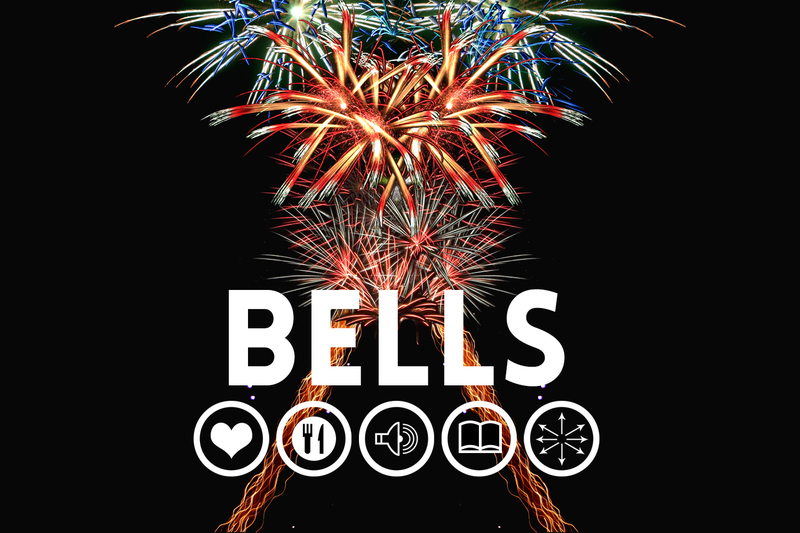 BELLS stands for bless, eat, listen, learn, sent. It’s applied like this: in the context of your weekly rhythm (perhaps you want to start with a monthly rhythm), can you live out these pieces with someone IN your community and someone OUTSIDE your church community? BLESS – can you bless someone in an someone outside every week? It can be very simple or quite profound, but the rhythm of blessing others is a demonstration that as we have so graciously received from the risen Lord, we too so graciously give. EAT – sharing meals together is an intimate experience and an excellent way to develop relationships. Can you eat with someone inside the community and someone outside of the community once a week? LISTEN – being present is an embodied characteristic of the character of Jesus. Can we both listen to the heartbeat of the community and the heartbeat in our relationships? More importantly, can we stop and pause to be present and listen to the voice and promptings that God has for us every week? LEARN – there is a development component where we continually engage with the unfolding narrative that God has for all creation. This is always connected into the grand narrative of scripture and best engaged with in the context of community. Are you going deeper in these stories? SENT – as God is a God on mission to reconcile all of creation, so to do we pick up on the identity of being sent ones. We remind ourselves weekly that we are participants in the unfolding Kingdom of God to make the world and our world a better place. How are you saying, ‘yes’ to the Kingdom in your midst? How can you go deeper in the spaces that you already exist and body seven new Kingdom characteristics? The BELLS rhythm can help.